Treat Dad to something different this Father’s Day. Be inspired by our fantastic Father’s Day photo gift ideas, here are our TOP 10 favourites! 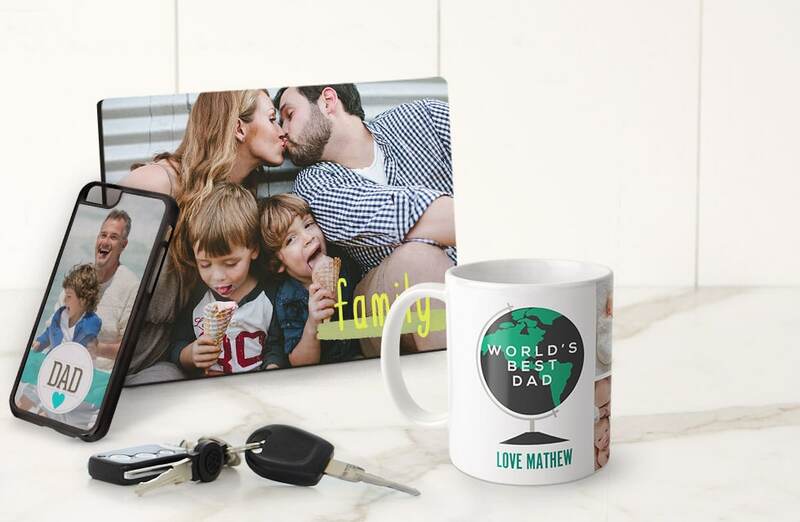 You can also explore our Father’s Day gifts page for more ideas and inspiration. 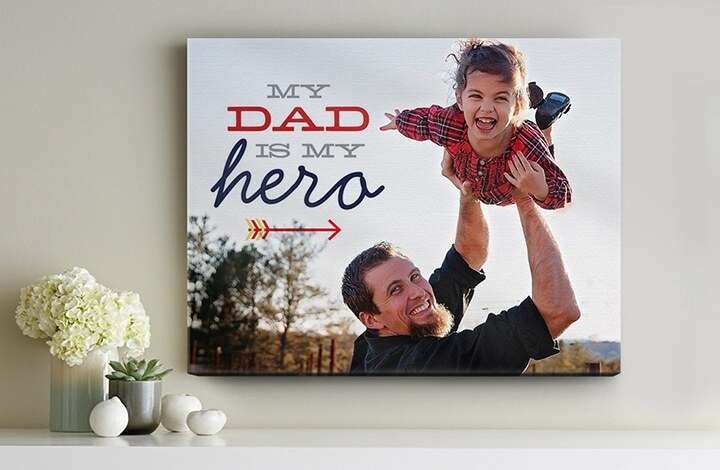 Create a piece of unique art from the heart with a canvas print. Make it personal with designs and embellishments dedicated to Dad. 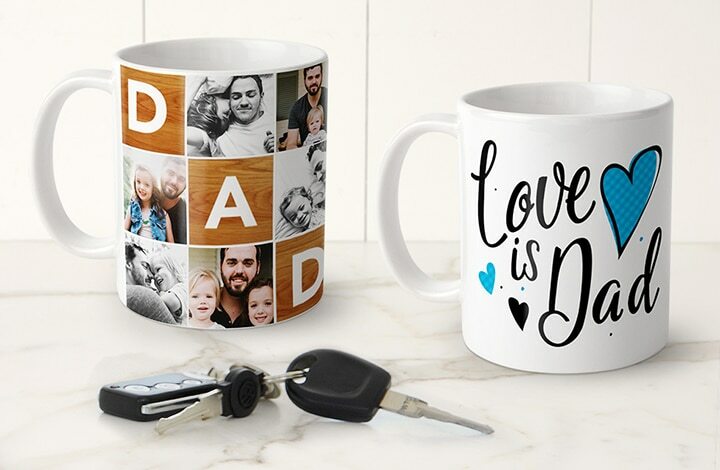 Make dad’s early mornings more bearable with a personalised mug you can customise with your favourite photos, embellishments and text, or keep things simple and use a Father’s Day design, like we’ve done! 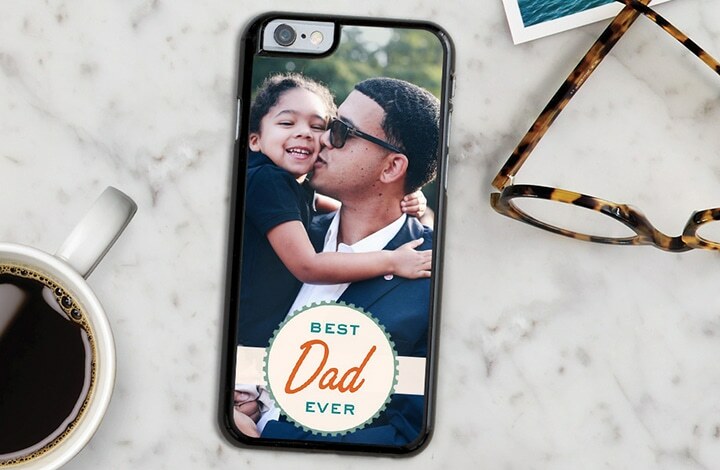 Personalise and protect Dad’s iPhone/ Samsung phone whilst carrying around his favourite family picture, it’ll cheer him up when he isn’t having the best of days! 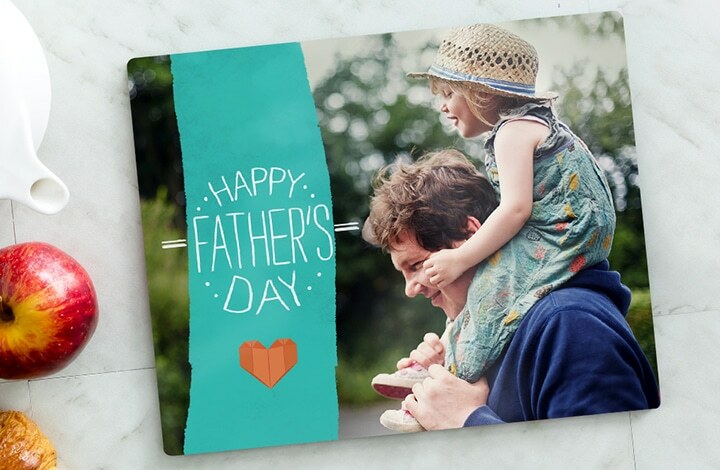 Your dad can re-live your most precious family memories every time he looks at his personalised placemat! 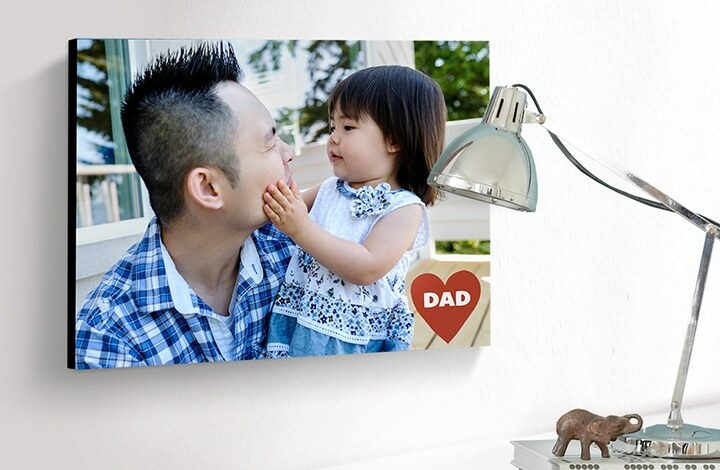 Make your wall a haven of happy memories with our NEW personalised wooden wall photo panel, it’ll make Dad smile every time he sees it! 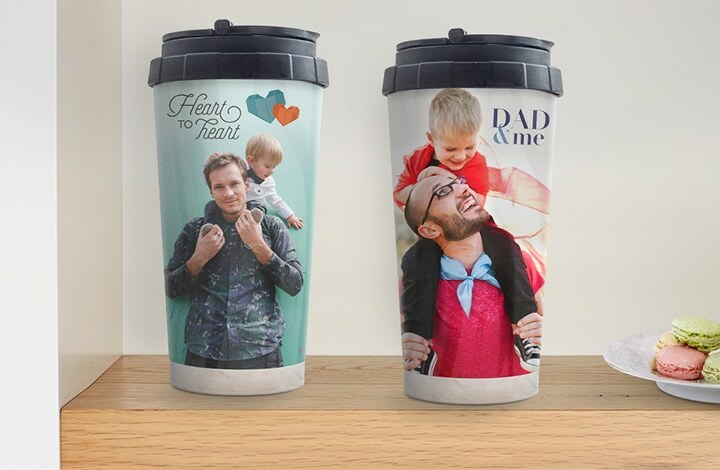 Treat Dad to a travel mug! Ideal for commuters, hikers or those Dads who are always on the go. 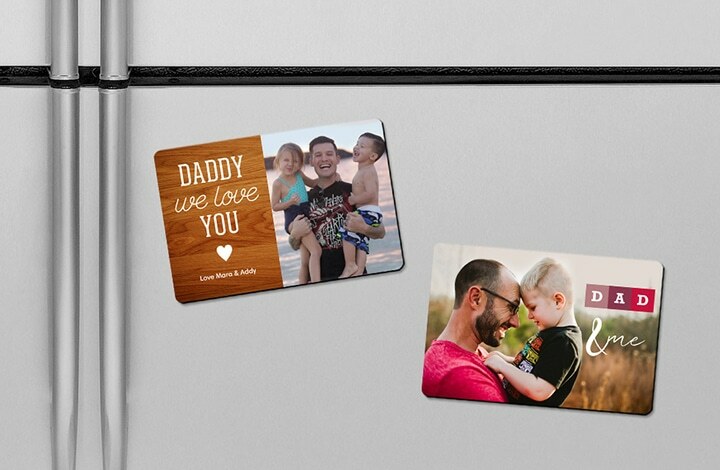 Create Dad his very own fridge gallery using personalised photo magnets. 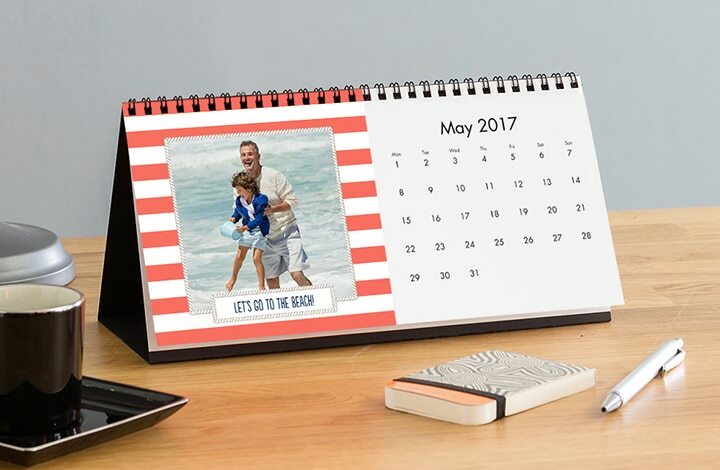 What better way to treat your loved ones than turning all of their most cherished moments into a personalised photo calendar that will make Dad smile all year round! 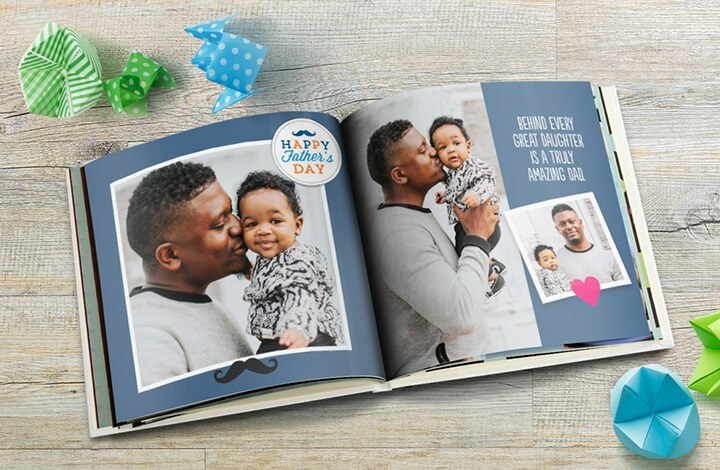 What better way to capture your most treasured family moments than in a personalised photo book that Dad can keep forever! Find all our Father’s Day designs in Designs > Father’s Day. 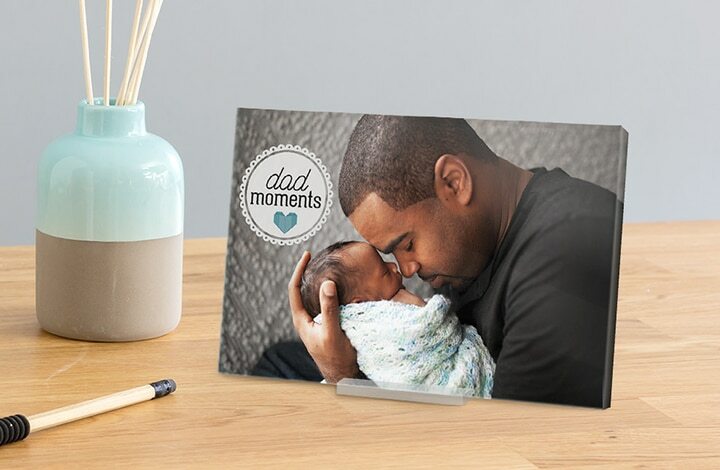 Turn your fondest dad memories into a stunning work of wall art with our acrylic photo prints – tight edges, sharp, fade-resistant and glossy. Have fun creating! We’d love to see your Father’s Day creations. Tagged as father's day, gift guide.